“Gardens make children better, happier and more helpful” is Tracy Mendoza’s motto when talking about her students and their school garden. We featured Ms. Mendoza last week (here if you missed it!) and today she is back to share how even those with the blackest of thumbs and no experience can rise to the challenge and get digging at their school, too! 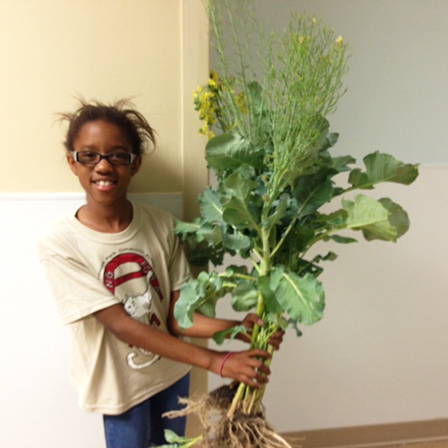 What was your background with soil science, nutrients, and gardening? Local Boy Scouts built garden beds out back to earn a badge. Our principal asked who wanted one – I volunteered! Planting the seeds- Tomatoes, collards, beans, broccoli, and lettuce. We visited the garden and measured its progress weekly. In addition to teaching the soil science unit, the students learned how specific nutrients benefit specific body functions. 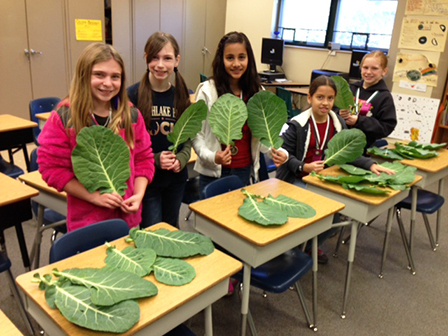 Example: We dissected what nutrients are in collard greens and how they affect growth. We harvested and ate vegetables from the garden. Furthermore, we learned about a couple lost at sea, who lacked vitamin C for months, upon rescue, we examined their impairments due to vitamin deficiency. For homework, each child was to cook one simple dish and report to the class what the included nutrients protects or cures. As a prize they received a child’s health cookbook. 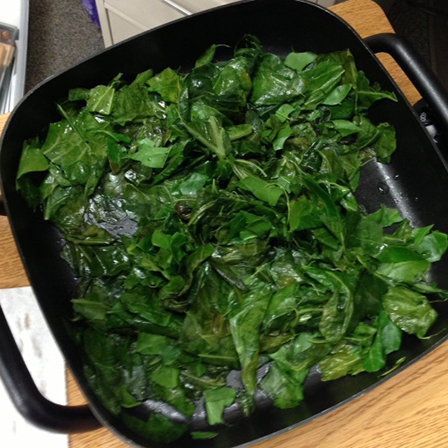 When students scored 100 on the weekly grammar test, I didn’t give candy, I gave mini collard green plants, and collard green seasoning packets as prizes! It inspired them to start gardens of their own. It opened their eyes to see how catastrophic poor nutrition can be on one’s health…as the Humanity Against Hunger web module so eloquently told the story. 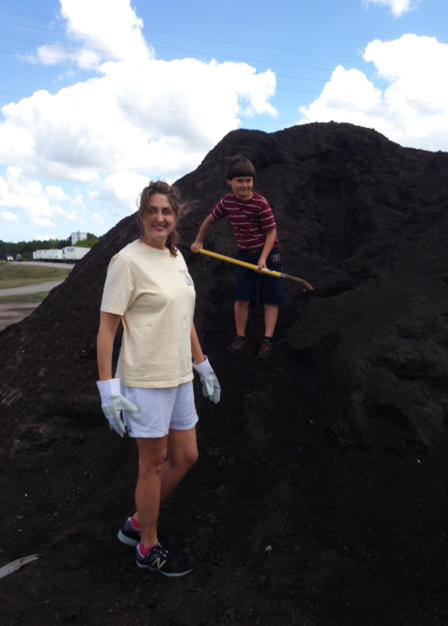 The Nutrients for Life organization played a pivotal role in aiding soil science instruction. Thanks! How did you see the students change as they spent time in the garden? I got them to eat vegetables! 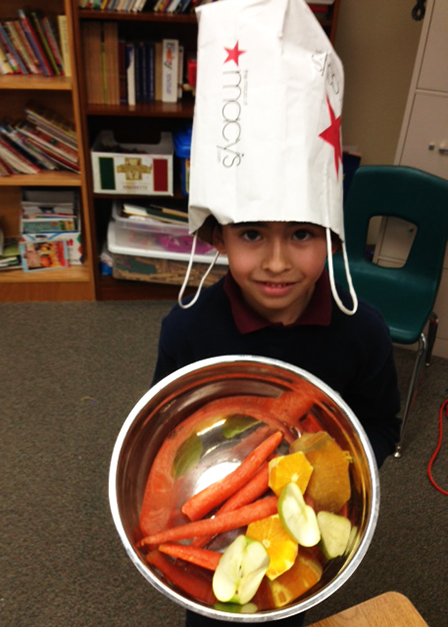 And they begged me to do lunch box inspections to show me their healthy snacks! She insisted on taking these home to replant! Seeing how well it grew! Go for it! Gardens make children better, happier and more helpful.